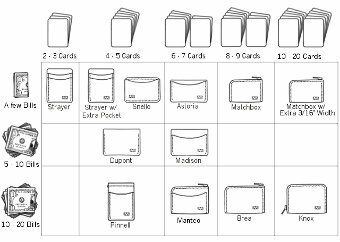 Analyze the number of cards you carry—2-3 in each slot keeps your wallet thin and cards accessible. Determine how much cash you typically carry and whether you prefer to fold it in half or in quarters. 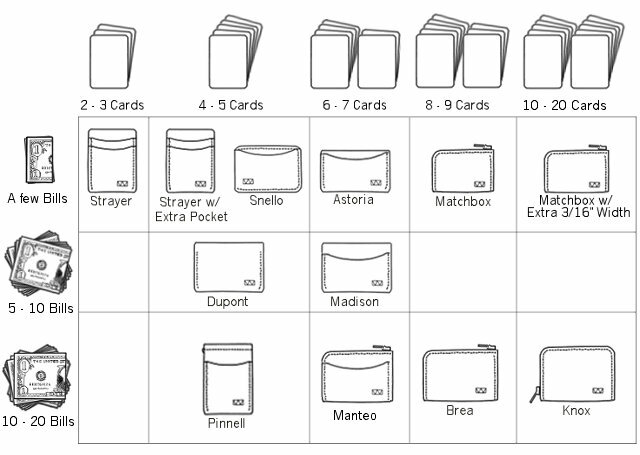 Choose the smallest wallet that will accommodate your needs 95% of the time. *Tip: During the 5%—when you have more cash/cards—put them next to your wallet to avoid stretching your wallet out. Choose the best wallet for your needs below. Or, get in touch with this guy for more help. If you are buying a wallet as a gift and aren't sure how many cards and bills the person uses, we also offer gift cards.